The New York Times released a bombshell report on Friday running damage control for Rod Rosenstein and the FBI after President Trump on Monday ordered the declassification of all texts related to the Russia probe from former FBI Director James Comey, former FBI Deputy Director Andrew McCabe, Bruce Ohr, Peter Strzok and Lisa Page. 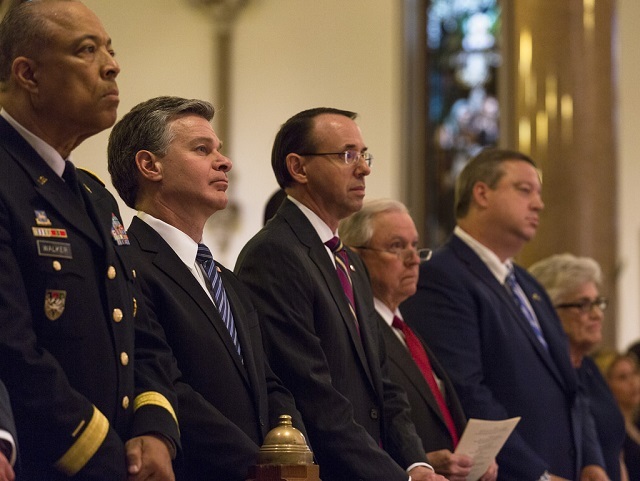 Reading through the lines in this propaganda report, it becomes clear that messages are going to come out from Andrew McCabe showing the man who launched the entire Russia witch hunt, Rod Rosenstein, plotted along with other top FBI officials in the spring of 2017 to secretly record Trump in the White House as a pretext to invoke the 25th Amendment and get Trump ousted from the presidency. Rosenstein, at the very least, looked into conducting a "straw poll" asking DOJ head Jeff Sessions and White House Chief of Staff John Kelly if they'd go along with invoking the 25th Amendment. Rosenstein "raised the idea of wearing a recording device or 'wire,' as he put it, to secretly tape the president when he visited the White House," The New York Times's Adam Goldman and Michael S. Schmidt report. "One participant asked whether Mr. Rosenstein was serious, and he replied animatedly that he was." "If not him, then Mr. McCabe or other F.B.I. officials interviewing with Mr. Trump for the job could perhaps wear a wire or otherwise record the president, Mr. Rosenstein offered. White House officials never checked his phone when he arrived for meetings there, Mr. Rosenstein added, implying it would be easy to secretly record Mr. Trump," The New York Times reports. Rosenstein also sought to appoint his Democrat close friend James M. Cole to be the special counsel, who the New York Times reports "served four years as the No. 2 in the Justice Department during the Obama administration and worked as a private lawyer representing one of Mrs. Clinton�s longtime confidants, Sidney Blumenthal." The New York Times has likely had this story for over a year and sat on it, only reporting on it now that Trump's declassification order will force this all to come out. The facts of this report suggest Rosenstein and the FBI committed treason and plotted to overthrow the President of the United States. They also suggests the New York Times is taking part in a criminal conspiracy working in tandem with the FBI to cover this all up. This damage control piece should be entered as evidence in upcoming criminal trials. WASHINGTON � The deputy attorney general, Rod J. Rosenstein, suggested last year that he secretly record President Trump in the White House to expose the chaos consuming the administration, and he discussed recruiting cabinet members to invoke the 25th Amendment to remove Mr. Trump from office for being unfit. Mr. Rosenstein made these suggestions in the spring of 2017 when Mr. Trump�s firing of James B. Comey as F.B.I. director plunged the White House into turmoil. Over the ensuing days, the president divulged classified intelligence to Russians in the Oval Office, and revelations emerged that Mr. Trump had asked Mr. Comey to pledge loyalty and end an investigation into a senior aide. Note the lies to soften the blow and distract from the actual issue. The info Trump divulged to Russia was about an ISIS terrorist plot. The "loyalty pledge" claim comes from conspirator James Comey. Mr. Rosenstein was just two weeks into his job. He had begun overseeing the Russia investigation and played a key role in the president�s dismissal of Mr. Comey by writing a memo critical of his handling of the Hillary Clinton email investigation. But Mr. Rosenstein was caught off guard when Mr. Trump cited the memo in the firing, and he began telling people that he feared he had been used. Rosenstein launched the Russia witch hunt probe after Jeff Sessions recused himself. 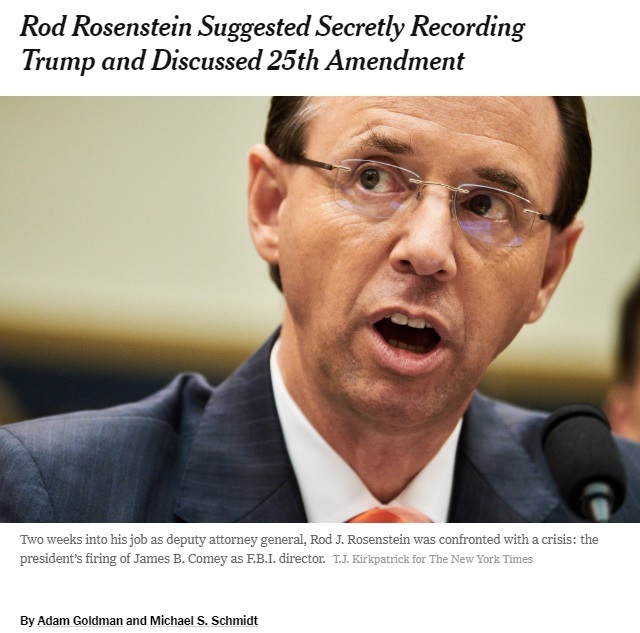 Mr. Rosenstein made the remarks about secretly recording Mr. Trump and about the 25th Amendment in meetings and conversations with other Justice Department and F.B.I. officials. Several people described the episodes, insisting on anonymity to discuss internal deliberations. The people were briefed either on the events themselves or on memos written by F.B.I. officials, including Andrew G. McCabe, then the acting bureau director, that documented Mr. Rosenstein�s actions and comments. None of Mr. Rosenstein�s proposals apparently came to fruition. It is not clear how determined he was about seeing them through, though he did tell Mr. McCabe that he might be able to persuade Attorney General Jeff Sessions and John F. Kelly, then the secretary of homeland security and now the White House chief of staff, to mount an effort to invoke the 25th Amendment. Note, they say "apparently." The possibility he did go through with secretly recording Trump is unquestionably still here. The extreme suggestions show Mr. Rosenstein�s state of mind in the disorienting days that followed Mr. Comey�s dismissal. Sitting in on Mr. Trump�s interviews with prospective F.B.I. directors and facing attacks for his own role in Mr. Comey�s firing, Mr. Rosenstein had an up-close view of the tumult. Mr. Rosenstein appeared conflicted, regretful and emotional, according to people who spoke with him at the time. But according to the others who described his comments, Mr. Rosenstein not only confirmed that he was serious about the idea but also followed up by suggesting that other F.B.I. officials who were interviewing to be the bureau�s director could also secretly record Mr. Trump. That's a criminal conspiracy and an act of treason. We need an investigation into this immediately. The revelations about Mr. Rosenstein come as Mr. Trump has unleashed another round of attacks in recent days on federal law enforcement, saying in an interview with the Hill newspaper that he hopes his assaults on the F.B.I. turn out to be �one of my crowning achievements� and that he only wished he had terminated Mr. Comey sooner. More damage control and lies from the criminal co-conspirators at The New York Times. Trump said exposing this Russia "hoax" would be one of his "crowning achievements," which is entirely correct. As he said, he's "expos[ing] something that is truly a cancer in our country." Days after ascending to the role of the nation�s No. 2 law enforcement officer, Mr. Rosenstein was thrust into a crisis. A day later, Mr. Trump announced the firing, and White House aides released Mr. Rosenstein�s memo, labeling it the basis for Mr. Comey�s dismissal. Democrats sharply criticized Mr. Rosenstein, accusing him of helping to create a cover story for the president to rationalize the termination. The president�s reliance on his memo caught Mr. Rosenstein by surprise, and he became angry at Mr. Trump, according to people who spoke to Mr. Rosenstein at the time. He grew concerned that his reputation had suffered harm and wondered whether Mr. Trump had motives beyond Mr. Comey�s treatment of Mrs. Clinton for ousting him, the people said. A determined Mr. Rosenstein began telling associates that he would ultimately be �vindicated� for his role in the matter. One week after the firing, Mr. Rosenstein met with Mr. McCabe and at least four other senior Justice Department officials, in part to explain his role in the situation. This is all just damage control. Mr. Rosenstein then raised the idea of wearing a recording device or �wire,� as he put it, to secretly tape the president when he visited the White House. One participant asked whether Mr. Rosenstein was serious, and he replied animatedly that he was. More damage control. They want readers to focus on nonsense about Trump's mental state rather than Rosenstein engaging in a criminal conspiracy to secretly record the president. In the end, the idea went nowhere, the officials said. But they called Mr. Rosenstein�s comments an example of how erratically he was behaving while he was taking part in the interviews for a replacement F.B.I. 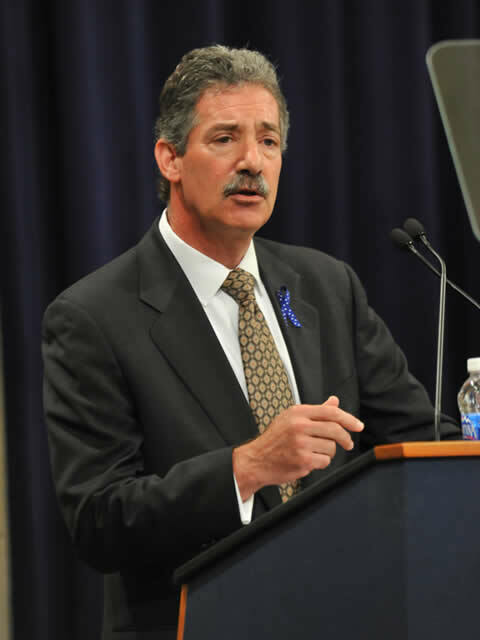 director, considering the appointment of a special counsel and otherwise running the day-to-day operations of the more than 100,000 people at the Justice Department. Once again, one official says it "went nowhere." We don't know that. The episode is the first known instance of a named senior administration official weighing the 25th Amendment. Unidentified others have been said to discuss it, including an unnamed senior administration official who wrote an Op-Ed for The New York Times. That person�s identity is unknown to journalists in the Times news department. Some of the details in Mr. McCabe�s memos suggested that Mr. Rosenstein had regrets about the firing of Mr. Comey. During a May 12 meeting with Mr. McCabe, Mr. Rosenstein was upset and emotional, Mr. McCabe wrote, and said that he wished Mr. Comey were still at the F.B.I. so he could bounce ideas off him. Mr. Rosenstein also asked F.B.I. officials on May 14, five days after Mr. Comey�s firing, about calling him for advice about a special counsel. The officials responded that such a call was a bad idea because Mr. Comey was no longer in the government. And they were surprised, believing that the idea contradicted Mr. Rosenstein�s stated reason for backing Mr. Comey�s dismissal � that he had shown bad judgment in the Clinton email inquiry. Mr. Rosenstein also considered appointing as special counsel James M. Cole, himself a former deputy attorney general, three of the people said. Mr. Cole would have made an even richer target for Mr. Trump�s ire than has Mr. Mueller, a lifelong Republican: Mr. Cole served four years as the No. 2 in the Justice Department during the Obama administration and worked as a private lawyer representing one of Mrs. Clinton�s longtime confidants, Sidney Blumenthal. Mr. Cole and Mr. Rosenstein have known each other for years. Mr. Cole, who declined to comment, was Mr. Rosenstein�s supervisor early in his Justice Department career when he was prosecuting public corruption cases. This was a criminal conspiracy. We need a new special counsel to investigate everyone involved for treason.